Every day while my youngest naps, I make an effort to spend some quality one on one time with my four-year-old. Our absolute favourite thing to do together is arts and crafts. I love watching her mind get busy, thinking, creating and inventing and she loves that I am there to help, giving her my undivided attention. We are always on the hunt for new ideas so you can imagine how thrilled I was to discover Kipod, creators of incredible DIY projects for kids. I am beyond excited about Kipod’s Get-together table, I can only imagine how proud my little girl would be creating her own table where she can colour, draw and eat her breakfast. 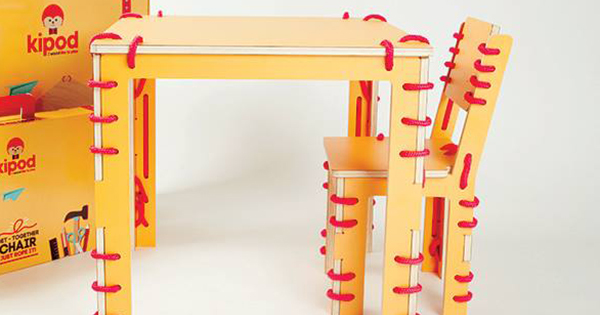 No sharp nails or screws, no hammers and – my favourite part – no messy glue. Just rope it and voila, you have great piece of furniture for their room. What’s a table without a chair to match? 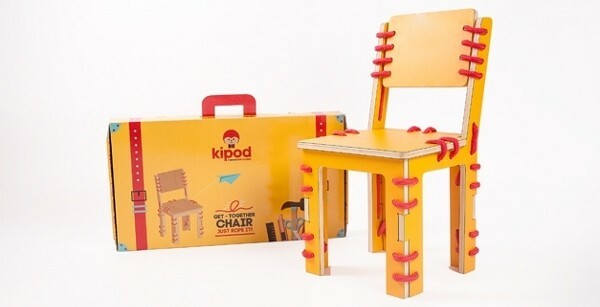 Kipod’s Get-together chair is the perfect size for little ones and like their DIY Get-together table, you and your child can enjoy some quality crafting time assembling your child’s own chair. Contact Kipod online for pricing and then take another look at their pompom animal kits we showed you previously.